Retailers' digital marketing spending keeps rising. Retailers' digital marketing budgets are soaring. Get your advocates talking with referrals. 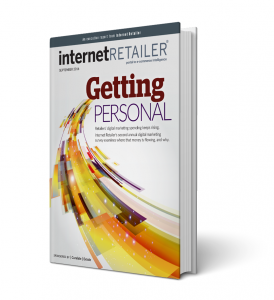 Internet Retailer's second annual digital marketing survey examines how online retailers are adapting to the rapidly evolving digital marketing landscape. In particular, the guide highlights how retailers' budgets are changing, as well as where and how they're spending those dollars.